The Highway Code general rules, techniques and advice for all drivers and riders, including signals, stopping procedures, lighting requirements, control of the vehicle, speed limits, stopping distances, lines and lane markings, multi-lane carriageways and general advice. This section should be read by all drivers, motorcyclists, cyclists and horse riders. 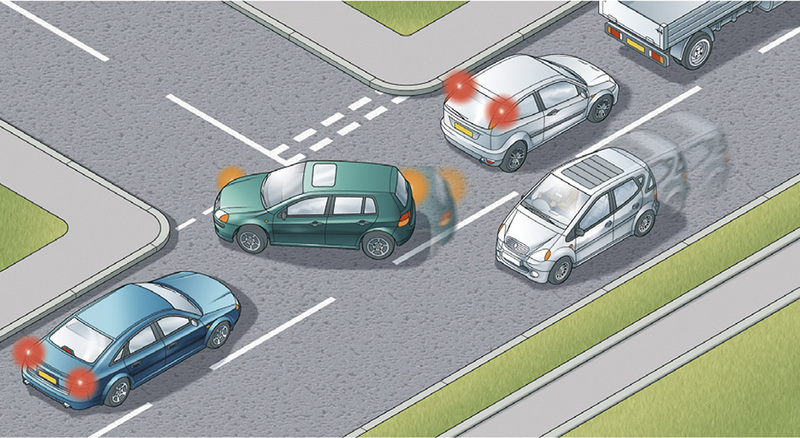 The rules in The Highway Code do not give you the right of way in any circumstance, but they advise you when you should give way to others. Always give way if it can help to avoid an incident. You MUST obey signals given by police officers, traffic officers, traffic wardens (see ‘Signals by authorised persons’) and signs used by school crossing patrols. 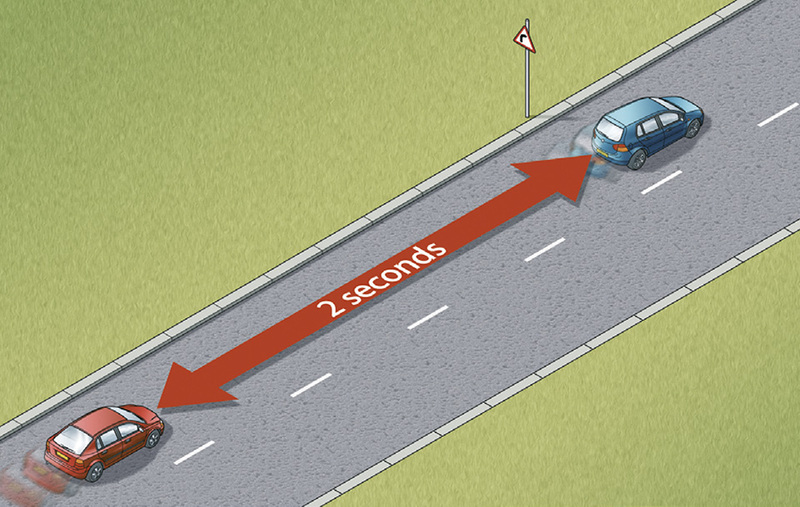 or from behind directing you to pull over to the side by pointing and/or using the left indicator. It is an offence not to comply with their directions. You MUST obey any signals given (see ‘Signals by authorised persons’). You MUST then pull over and stop as soon as it is safe to do so. Then switch off your engine. It is an offence not to comply with their directions (see ‘Signals by authorised persons’). Traffic light signals and traffic signs. You MUST obey all traffic light signals (see ‘Light signals controlling traffic’) and traffic signs giving orders, including temporary signals & signs (see ‘Traffic signs’). Make sure you know, understand and act on all other traffic and information signs and road markings (see ‘Traffic signs’, ‘Road markings’ and ‘Vehicle markings’). use headlights when visibility is seriously reduced (see Rule 226). Night (the hours of darkness) is defined as the period between half an hour after sunset and half an hour before sunrise. use front or rear fog lights unless visibility is seriously reduced. You MUSTswitch them off when visibility improves to avoid dazzling other road users (see Rule 226). slow down, and if necessary stop, if you are dazzled by oncoming headlights. it may be more difficult to select the appropriate gear when needed. *The 30 mph limit usually applies to all traffic on all roads with street lighting unless signs show otherwise. †60 mph (96 km/h) if articulated or towing a trailer. You MUST NOT exceed the maximum speed limits for the road and for your vehicle (see the speed limits table). The presence of street lights generally means that there is a 30 mph (48 km/h) speed limit unless otherwise specified. driving at night as it is more difficult to see other road users. 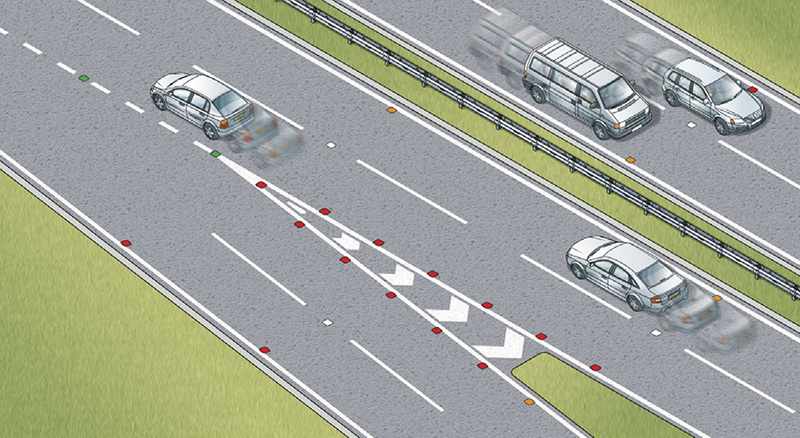 See ‘Road markings’ to see diagrams of all lines. If the area is bordered by a broken white line, you should not enter the area unless it is necessary and you can see that it is safe to do so. If the area is marked with chevrons and bordered by solid white lines youMUST NOT enter it except in an emergency. White studs mark the lanes or the middle of the road. Red studs mark the left edge of the road. Amber studs mark the central reservation of a dual carriageway or motorway. Green studs mark the edge of the main carriageway at lay-bys and slip roads. Green/yellow studs indicate temporary adjustments to lane layouts, e.g. where road works are taking place. do not use the right-hand lane. A dual carriageway is a road which has a central reservation to separate the carriageways. Cycle lanes. These are shown by road markings and signs. You MUST NOTdrive or park in a cycle lane marked by a solid white line during its times of operation. Do not drive or park in a cycle lane marked by a broken white line unless it is unavoidable. You MUST NOT park in any cycle lane whilst waiting restrictions apply. High-occupancy vehicle lanes and other designated vehicle lanes. Lanes may be restricted for use by particular types of vehicle; these restrictions may apply some or all of the time. The operating times and vehicle types will be indicated on the accompanying traffic signs. You MUST NOT drive in such lanes during their times of operation unless signs indicate that your vehicle is permitted (see ‘Traffic signs’). Vehicles permitted to use designated lanes may or may not include cycles, buses, taxis, licensed private hire vehicles, motorcycles, heavy goods vehicles (HGVs) and high-occupancy vehicles (HOVs). any other vehicles, such as buses and motorcycles, as indicated on signs prior to the start of the lane, irrespective of the number of occupants. the most appropriate lane when going straight ahead. Remember – traffic could be passing on both sides. drive without reasonable consideration for other road users. children, are looking the other way, they may step out into the road without seeing you. Be considerate. Be careful of and considerate towards all types of road users, especially those requiring extra care (see Rule 204). you MUST NOT throw anything out of a vehicle; for example, food or food packaging, cigarette ends, cans, paper or carrier bags. This can endanger other road users, particularly motorcyclists and cyclists. You MUST NOT smoke in public transport vehicles or in vehicles used for work purposes in certain prescribed circumstances. Separate regulations apply to England, Wales and Scotland. In England and Wales, the driver MUST NOTsmoke or allow anyone to smoke in an enclosed private vehicle carrying someone under 18, including motor caravans. You MUST exercise proper control of your vehicle at all times. You MUST NOTuse a hand-held mobile phone, or similar device, when driving or when supervising a learner driver, except to call 999 or 112 in a genuine emergency when it is unsafe or impractical to stop. Never use a hand-held microphone when driving. Using hands-free equipment is also likely to distract your attention from the road. It is far safer not to use any telephone while you are driving or riding - find a safe place to stop first or use the voicemail facility and listen to messages later.